So THAT'S why a guy from church asked if I wanted some ashes from his fireplace for soap-making! As I understand it, making lye from ash is a bit more complicated if you want consistency. I would definitely have dedicated soap making equipment. I've never made soap (yet), but in general anything that has contained caustic chemicals, especially if they're heated, should not come in contact with food. I know that for dyeing yarn, which involves metal salts and acid dyes, it's best to have a dedicated kitchen in addition to utensils. The pH is really hard to get right. I don't make my own. One thing you need to be careful of is to not inhale the lye fumes. I open a window before I pour the lye, turn on a fan right after I've poured it, and leave the room for a few minutes. Yikes. I do all of this part outside.. They recommend you use a respirator when working with the lye and I have not, but I can say you probably SHOULD use one. SCORE! I just got 3 medium-sized stainless steel washing buckets from work today. I think one will be a dye pot for yarn and the other for making soap...I can use stainless steel, right? Yep stainless steel is perfect! Nice score.. The first time I made soap I used an old aluminum canner.. DO NOT DO THAT.. thankfully we were in the back yard. It was like 'little Chernobyl' for hours. DO NOT USE ALUMINUM!!! FYI-in the soap making class I took at the community college several folks just used a plastic pitcher to mix the lye/water in. We used stainless steel pots for the fat & mixing the soap. According to the instructor-it is fine to later reuse the pot for other things as it will just be really clean from the soap. Personally I picked up a cheap pot to use, but just sharing what she said. Of course I haven't actually made any soap at home yet...it's on my list of things to do this winter. my soap pot (stainless steel) is dedicated soap, and I use a plastic pitcher for the lye-water. My stick blender is dedicated for soap. My molds (3" pvc pipe, pringles cans, and silicone bakeware I find at garage sales) are dedicated to soap. The only things that are not is ONE of my thermometers (the lye thermometer is dedicated; the oil one is not - it lives in my kitchen) and the cutting board and knife I use to slice the soap into bars. At that point, I figure it is soap now, and I just give it a very good rinsing when I am done. and I just give it a very good rinsing when I am done. after all, it is soap, right? how do you clean soap? use a special soap cleaning soap? Lye is so cheap if you are making soap for yourself. I have a book with instructions on how to make your own lye, but its one of those preps that never go bad, and is so cheap, why would you spend the time and from what I have read, headache of making your own. You can put up enough lye to make soap for the rest of your life for less than $400. I get my lye from here in case you are interested. Just make sure you buy your lye in 2lb containers. If you buy it in smaller quantities you will get ripped off, if you buy it in larger containers you will have to pay Hazmat shipping costs, and probably end up on some list. Let me reiterate Cedars point, DO NOT USE ALUMINUM! Also, please don't mix your lye in the house. The fumes are really bad for you, always go outside and stay upwind from your container. I use a plastic container for mixing lye with water, coffee or milk. Here is a tip I learned from some professional goat milk soap makers. Freeze your milk and then mix your lye with it. If you don't, the milk will reach a temperature that destroys some of the benefits of using it. On a serious note, cleaning up your gear is simple. It is soap, and most of the Saponification happens in the first 10 minutes while using your immersion mixer. I clean my equipment in the sink right after I make soap, never had a problem. About making your own lye. It can be made from wood ash. It is really not too difficult, just time consuming. However, it will never give you the same results as using caustic soda. The reason is, Lye is a somewhat generic term. Caustic soda which is what is commercially sold as lye is pure sodium hydroxide. Lye made from wood ashes used to be called Pot Ash and is primarily Potassium Hydroxide (the name comes from the term Pot Ash where the chemists first identified it). The Hydroxide radical is what is needed for the saponification reaction, so either one works. However, sodium ion disperses small solids while Potassium does not. Sodium also helps with foaming while Potassium does not. Therefore the Caustic soda makes a more effective, sudsier soap than Pot Ash. Also the type of wood and the soil conditions where it was grown can make a difference in the sodium/potassium ratio in the homemade Pot Ash, thus making it more irratic. Your soap also tends to be softer with ash lye.. they used to keep it in a crock. Great thread! My sister and I want to learn to make soap with Goat's milk since we have dairy goats. I will be sure to come back to this thread. Thanks for all the info. I made my first batch tonight. Once I got the stick blender goin it turnd to thick pudding in less then 1 minute. Is this normal? I used SoapCalc to double check the mix. I went with 8oz extra virgin olive oil, 7oz coconut oil, 1.5oz castor oil, 4.9oz water, and 2.4 lye. I put 4 or 5 drops of lemongrass oil for a little smell goodness. According to the soapcalc I did on your values, I came up with 2.753 OZ of Lye to 6.27 OZ of water. If you want your scent to last, you need to use way more than 4-5 drops. Also, don't use extra virgin olive oil, you are just wasting your money. Use the cheapest bulk olive oil you can buy, eat your extra virgin. I used Soapgiuld.org to calculate the mix. It gave me the range and I went with the middle. (My bad thinking I used soapcalc). I looked at so many sights I got the names mixed up. How much essential oil should I use to get a good smell? I told my wife I'd rather have non scented then over kill. Also do you do anything special to wash the stuff that lye has touched? I instantly rinsed then wash with hot soapy water. I did see the vinegar thing in some vids so I had a bottle out and ready just in case. From now on I'll soak a rag and wipe everything down after. Freeze your milk and then mix your lye with it. the first time I made goat milk soap, I had my milk "slushy" - as in, it had been frozen, but was mostly thawed with ice crystals floating around. My milk curdled, and it burned to a deep orange color. I found help. So now what I do is have my milk in ice cubes in the freezer. 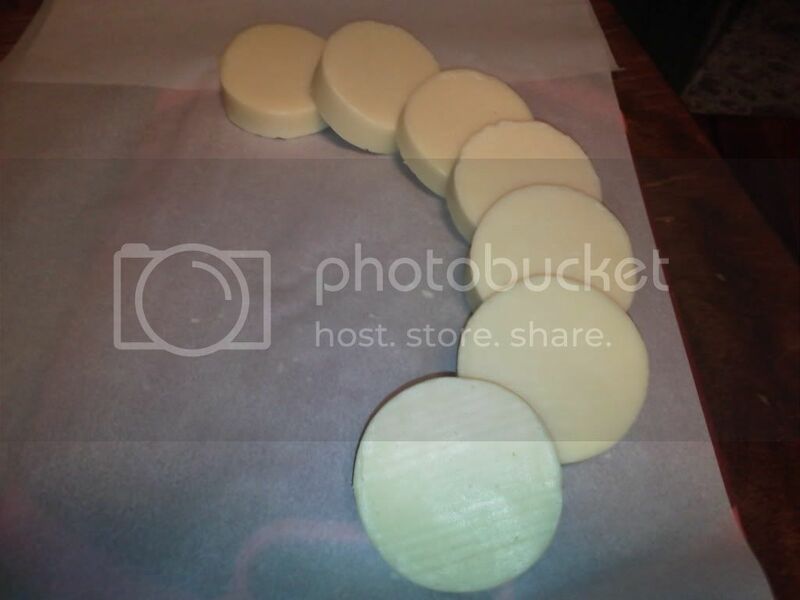 When I am ready to do goat milk soap, the process is kind of backwards. I mix my oils first and get them cooling. Then I "slushify" 4-5 milk ice cubes. When they are liquid-y, I add the rest of the frozen cubes. Then I add the lye, stirring well so the lye hits the liquid. It has to have the liquid to heat up enough to melt the rest of the cubes. As soon as all my cubes are melted (and it is at this point a pale yellow color, so the milk is still changing chemically), I check temperatures. If I have done it right, the oils are within 10 degrees of the lye milk - which sometimes is as low as 80. All my other soaps I mix between 100-110, but the milk is always lower. It still traces nicely, but I have had a few other issues. 1) tamp down your soap molds after you pour it - milk soap has a tendency to hold air bubbles more than other soaps. 2) leave it in your mold as long as 4 days before you remove it. If it is a detailed mold (you know, like snowflakes, beehives, etc), I have left it for a few months. 3) let it cure at least 3 months before using. You can safely use it before this, but it will "melt" faster in the shower. as for scents, I generally use 1-4 Tablespoons, depending on the recipe and the scent. The extra virgin olive oil was given to me but I will keep in mind regular works good and saves $ thank you. Do you think the mixture I have setting up in the Pringles can will be okay with the lower amounts of lye and water? What will that effect? 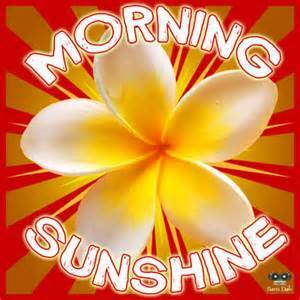 What morning sunshine said. If you use liquid milk like you would water, you will cook your milk. Freezing milk is the way to go. Your soap may be fine, just let it cure for a month and try it on your hands, a small part of your hand with vinegar near by. Most of the recipe sites have what is called a "superfatting" adjustment, which makes sure your soap comes out on the just fine side not the OMG why did I test this in the shower side. As far as the essential oils go, it is really a preference, I am just saying 4-5 drops will probably not even register in your soap. I make 1/2 pound lye batches and probably use 1-3 ounces of EO (by weight not volume ) depending on what it is. I'm very happy they came out in awesome condition. I'll admit I had my doubts. Heck I'm happy I figured out how to put this pic on here. Now the hardest part will be waiting a month. I think I'll do another batch soon and change it up some. I plan on documenting the mixes. I never thought I get into soap making. Heck I even made 18 gallons of laundry soap in the last 2 week's and gave most of it to my friends, family, and neighbors. Feels like I'm being a little more self sufficient. Feels good. soaping is a fun hobby, and folks LOVE it as Christmas gifts. Would you recommend a good recipe that I could do this weekend that would be ready in time for Christmas? um, yeah. It would be. I have started leaving out the oatmeal, and it makes it better, IMO. We like a nice citrus scent to this one.